The #MeToo movement on social media has been garnering pace throughout the country for the past few days, with several accounts of alleged sexual harassment and assault coming out into the open. Used first in 2006 and popularised on Twitter in 2017, the #MeToo movement's momentum has multiplied in India over the past week, after Bollywood actress Tanushree Dutta accused actor Nana Patekar of sexually harassing her during a movie shoot. The allegations have now entered the cricketing world. Indian playback singer Chinmayi Sripaada, through her Twitter account, has called out Sri Lankan pacer Lasith Malinga for allegedly assaulting a woman sexually in his hotel room during the IPL, a few seasons back. She shared a screenshot of the victim's written account on Twitter. Malinga has been a part of the Mumbai Indians since 2009, and last played for them in 2017. In 110 matches, he picked up 154 IPL wickets, and is currently the leading wicket-taker in the IPL across all seasons. Last season, he was roped in by the franchise as the bowling mentor, and joined coach and former teammate Mahela Jayawardene and bowling coach Shane Bond. 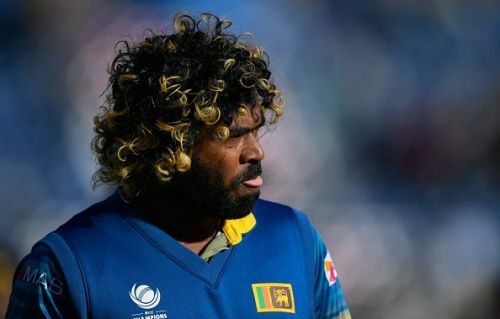 Malinga made his debut for Sri Lanka back in 2004, and was recalled to the ODI set-up for the Asia Cup that concluded in the United Arab Emirates recently, where he played two games for his side. He's also part of the team that is playing against England at home, in the ongoing ODI series. The news comes a day after former Sri Lankan captain Arjuna Ranatunga was named by an Indian flight attendant for sexually harassing her at a hotel in Mumbai during one of his visits to India. The leader of the team that won the 1996 World Cup, the 54-year-old Ranatunga represented Sri Lanka from 1982 to 2000, playing 93 Tests and 269 ODIs for the national side.